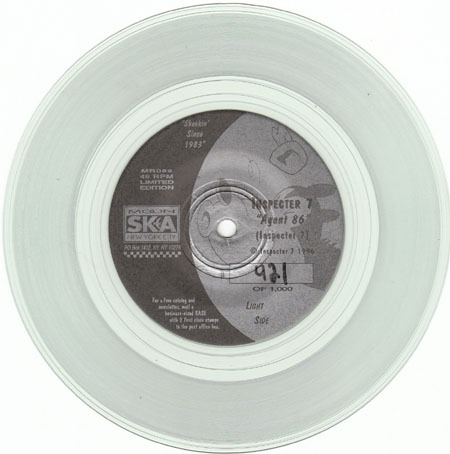 Agent 86 b/w See Ya 7"
This might be the easiest clear vinyl Moon single to pinpoint. I see it fairly regularly, and it is usually cheap. The two tracks on this one come from the album, "...The Infamous," which is actually not a Moon Ska release (it came out on Radical Records).